Press / to adjust the volume up/ down. 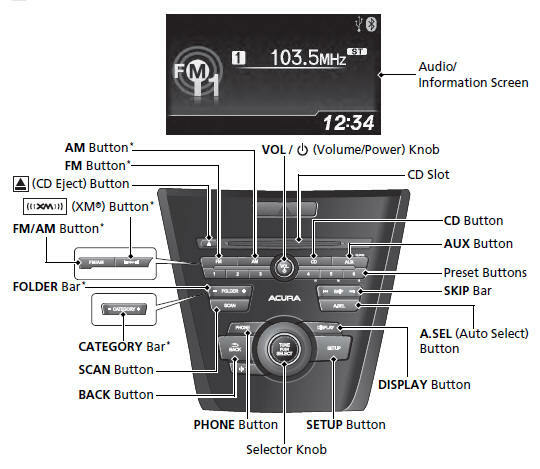 Press and release to change the audio mode: FM1/FM2/AM/XM1*/XM2*/CD/AUX. 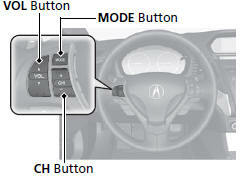 Radio:Press and release to change the preset station. Press and hold to select the next or previous strong station. CD/USB device: Press and release to skip to the beginning of the next song or return to the beginning of the current song. Press and hold to change a folder.